2) Now Open your Paytm App and Click on “Bank” in footer of Paytm App. 3) Now Open your Paytm Payments Bank account (if you have already Skip all first 3 Steps). 4) Now on Paytm HomePage click on “UPI” and Link your Paytm Payments Bank account and also make it default for Sending and receiving money. 5) After linking your Paytm Payments bank account Just goto HomePage >> “Send Money” >> Enter UPI Address. 6) Now Do Transaction of any amount without any Limit or Limit might be around 500 Transaction per day. 7) So Use this Method for any kind of Offers. This trick isn’t working. I tried it many times. The limit of per day transaction is decreased to 20. Any trick to do more than 20 transactions in Paytm UPI? 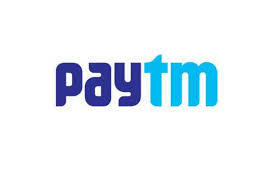 are you link with paytm payment bank?as upi? if yes, than maybe this trick over too. sir, but i am not able to use 500 transaction a day, even i have done kyc and verified account and make a paytm payment bank. It is real or fake that maximum of 500 transaction we can do.